Madi had a great morning at school! She is confident and loving being back. She only has 2 school days left which is sad. She was a bit tired when she got home so she lied down to play on her iPad and stretch in her Gaitors before going to Grandview for PT. Her lie down quiet time turned into a 2 hour nap so PT was cancelled for today. Both Madi and Jack had great naps and Mommy was able to finish scheduling the summer! When Madi woke up it was time to go visit Pam and Medford so Mommy could go to coaching. 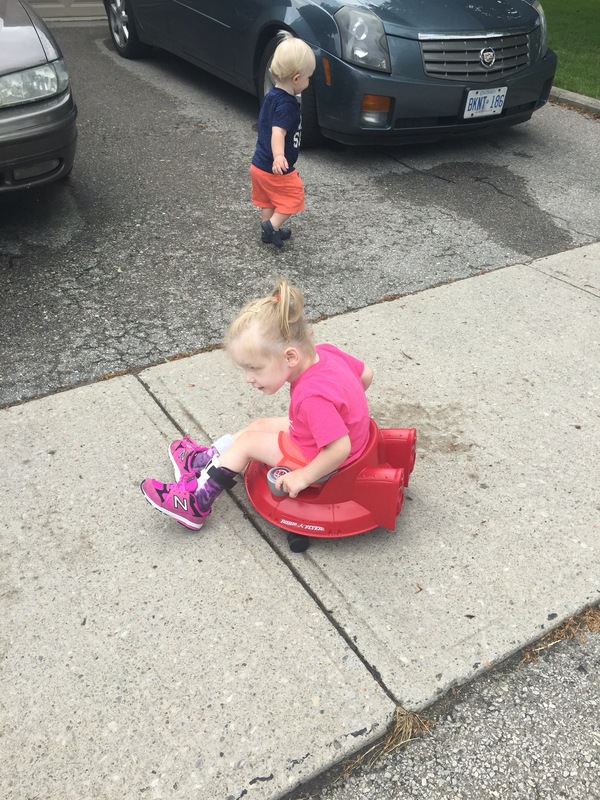 Madi told Mommy that she didn’t do much today so she wanted to use her scooter to get to Pams house haha. 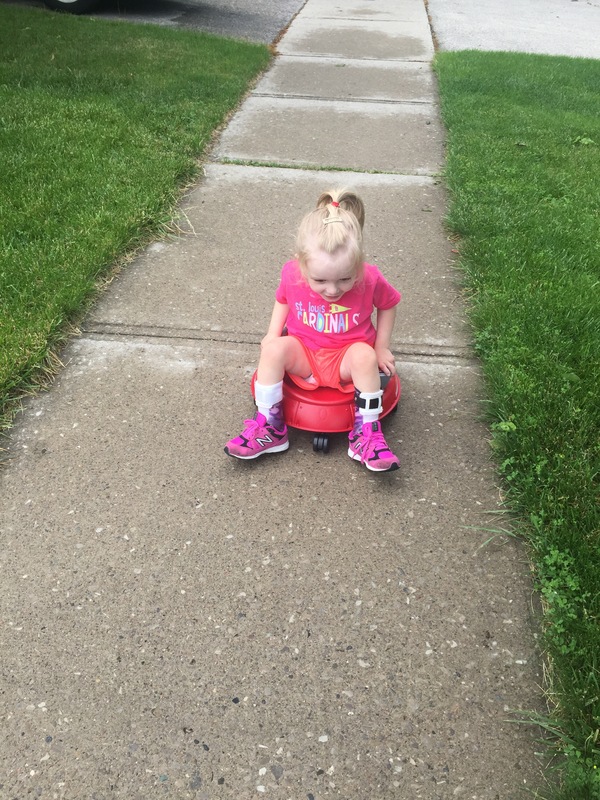 So Madi got in her scooter and pushed herself along the whole sidewalk and up Pams driveway all the way to the front door!